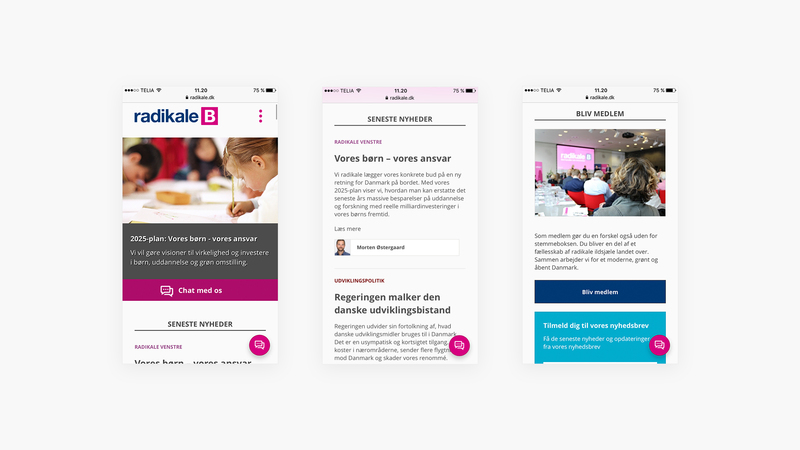 Web meets workflow in platform collaboration for Denmark’s social-liberal party. 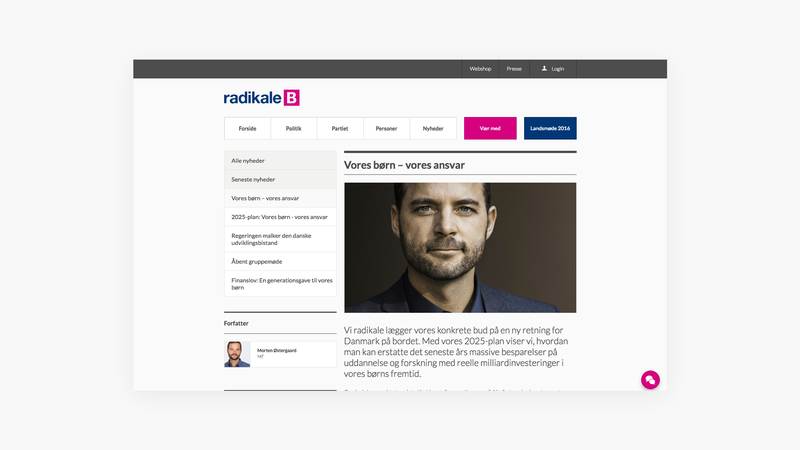 Custom Drupal CMS integrated with Microsoft Dynamics CRM lays the foundation for website and communications platform for the Danish political party, Radikale Venstre. The briefing included both a public facing website to engage voters on their issues, paired with an internal forum platform for active members to debate said issues. On top of these requirements, Radikale sought integration of this website with their recently developer membership database, based on Microsoft Dynamics CRM. Supporting multiple user cases across a variety of platforms set the bar high for a comprehensive backend solution. Taking our departure from the party’s branding and design guidelines, we introduced a UX and visual design optimised for desktop, tablet and mobile. To support Radikale’s needs to adapt to shifting political landscapes we provided a framework the party could use to generate new specific issue sites independently. Following a thorough integration of the party’s membership database with custom web service calls using SOAP, we achieved a seamless back-end solution with a custom Drupal CMS allowing the party to connect and engage on issues in a whole new way. 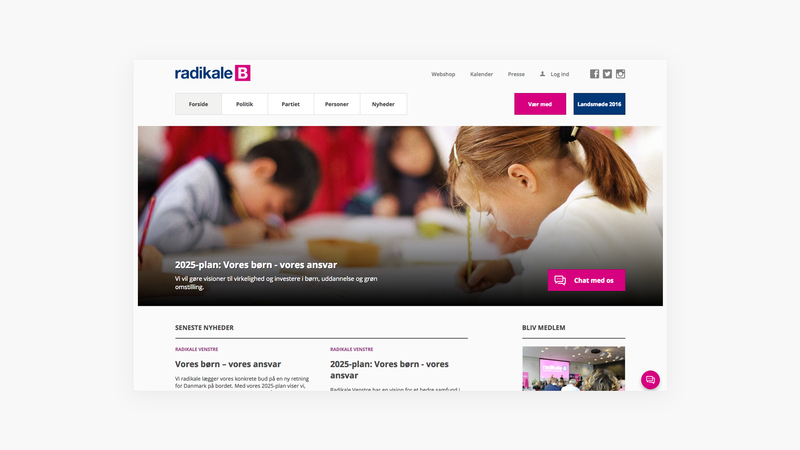 The site was launched to fanfare in the Danish political community recognizing its forward design and flexible framework. The website continues to support organizational needs for the party both inside and out of election cycles. With continuous use by party members to launch new issues and initiatives, it delivers on politicians’ promises to follow through with a platform where updates are regular and interactions are high.